Fort Wadsworth (named so in 1865) is located at the eastern tip of Staten Island over looking Fort Hamilton to the east and New York Harbor to the north. This property has been a military reservation in many names and served many purposes since it's creation in 1626. 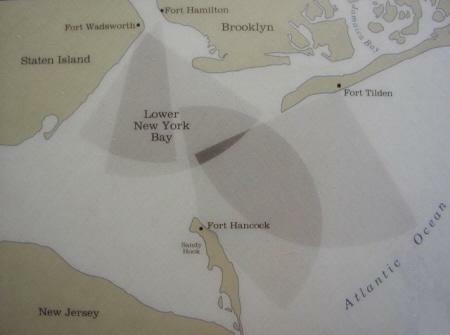 Fort Wadsworth worked in combination with Forts Hamilton, Tilden and Hancock in the defense of Lower New York Bay. Again, nothing can be found regarding a railway on the premises. And yes, once again; one can only hypothesize about the use of a railway in this Fort, being built to haul munitions from bunkers to the artillery batteries. Also, H. K Porter records show this locomotive was delivered "care of Major H. M .Adams, Fort Wadsworth".